Well it’s almost time forA�CONGRATULATIONS!A�A�A few loose ends to tie up and then you can celebrate! Final Walk-Through InspectionA�– A�The final inspection takes place a day before, or the day of the closing. You will visit the property to verify that all is in working order and that everything is the same as when your buyer last viewed the property, no extra items are left behind, and that all conditions have been met in the contract. Home Services and UtilitiesA�- The cancellation of home services and utilities can be generally be called ahead and cancellation scheduled with your closing date. Be PreparedA�– The closing day most always proceeds smoothly however, should an unforeseen glitch pop up, even at this last stage – no need to worry. We have encountered these problems before so we know how to handle them efficiently and in a stress-free manner. 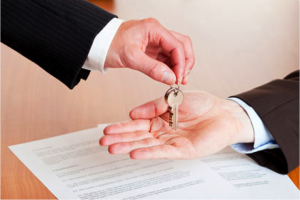 ClosingA�- The closing agent – usually the lawyer – will furnish all parties involved with a settlement statement, which summarizes the details to the land and property title and financial transaction which will need to be signed. If you obtaining financing, you will have to sign all pertinent documentation required by the lending institution. As the seller you should arrange to have all property keys and any other important information for you buyer at closing.